Nick Farr-Jones was born in 1962. He is married to Angela and has four children. Nick Farr-Jones completed his law degree at the University of Sydney and worked in a legal practice for 10 years. He was also a champion sportsman, being Captain of the Wallabies football team that won the Rugby Union World Cup for Australia in 1991 and the Bledisloe Cup in 1992. He has extensive investment and banking experience. He worked for the French company Societe Generale in Paris for four years before returning to Sydney to become a Director with International Investment Manager Bank Societe Generale Australia. Nick Farr-Jones was formerly a director of the NRMA. 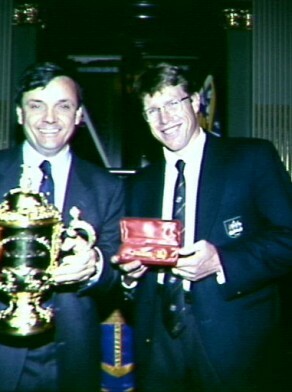 In 1992 Nick Farr-Jones was awarded the Member of the Order of Australia (AM) for services to Rugby Union. Nick Farr-Jones was elected to the City of Sydney Council in September 1999. He was deputy leader of the Sydney Alliance which, under leader Katherine Greiner, was opposed to Frank Sartor’s Living Sydney team.